SPEECH BY WAITHERA KABIRU ON THE OCCASION OF IT’S A FAMILY AFFAIR: MUSIC & WELLNESS FESTIVAL, on May 1, 2013 at Carnivore Grounds, Langata. My parents did not take the news calmly! In fact, from the looks on their faces, they were devastated. How do you react when your child is told they have a terminal disease? I was numb in shock and I didn’t know how to comfort them. Instead, we walked across the road from Nairobi Hospital, to Java Restaurant and had a light lunch that was indigestible, just like the news we had just heard. Despite a STRONG family history of breast cancer from my maternal side, I NEVER thought those words would be delivered at me. My life was going on just fine. I appeared healthy, had a great social and work life and was a doting mother to my kids. So why did I need cancer in my life? Why me, a single mother of two boys. Who would take care of them if I did not survive this disease? Why did God choose me and not another member of my family? These were all the questions that I had to deal with over the next few days. On December 3, the day before my older son sat for his KCPE exams, I travelled to India with my mum for further tests and to begin my treatment. I told my son I was going or a business trip while he was sitting for his exams. My heart was broken that I couldn’t be there for him at a critical time in his life. That’s cancer for you, it takes over your life and messes up all your plans! I am glad to report that my son Kabiru performed extremely well in his KCPE exams and he is now in Form 1, high school. 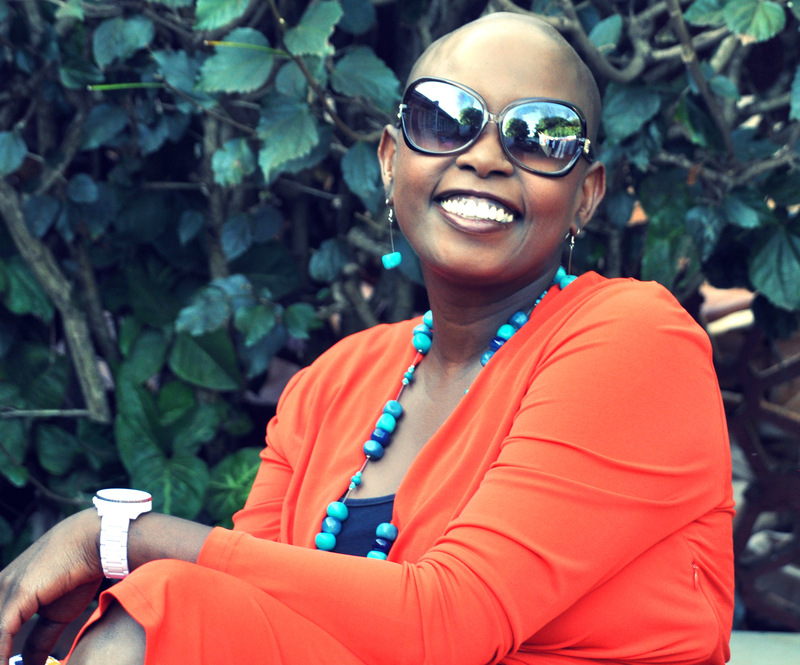 On 12/12/12, one day after my 37th birthday, I underwent my first course of treatment – breast cancer surgery to remove the tumours found in my right breast and removal of my lymph nodes. I will never forget that date in my life. It is the day that marked the beginning of my Second Chance in Life. Surgery – Breast cancer is usually treated with surgery to remove the cancer. Many women with breast cancer can choose between mastectomy and breast conserving therapy (also called “lumpectomy”) Mastectomy is surgery to remove the whole breast while Breast conserving therapy (lumpectomy) is surgery to remove the cancer and a section of healthy tissue around it. Radiation therapy – Radiation kills cancer cells. Chemotherapy – Chemotherapy is the term used to describe a group of medicines that kill cancer cells. Hormone therapy – Some forms of breast cancer grow in response to hormones. Your doctor might give you treatments to block hormones or to prevent your body from making certain kinds of hormones. Targeted therapy – Some medicines work only on cancers that have certain characteristics. Your doctor might test you to see if you have a kind of cancer that would respond to this kind of therapy. For the type and stage of cancer I have, i.e. Stage 3, I am on an aggressive treatment path that involves surgery, chemotherapy for 4 months, radiation for 6 weeks, and hormone therapy for 9 months. The entire course of treatment is financially draining as cancer is one of the most expensive diseases to treat globally. It is for this reason that I created a public appeal to request for assistance to meet the financial demands to fight my battle. I am humbled and Blessed to say that since I made the public appeal just over 2 months ago, I have been overwhelmed by messages of moral and financial support from friends, families, strangers, corporates, from all over the world, even Kenyans in the diaspora! Seeing you all here today is testament to that. There are two key points that I want to impress upon you. First, screening for breast cancer is important but there are many barriers that prevent this from happening. For example, lack of education, lack of access to mammograms or ultrasound, financial issues and myths regarding breast cancer. Secondly, the time from detection of breast cancer to treatment affects survival rate. Most breast cancer is hereditary. You don’t need to worry if you don’t have a family history of breast cancer. FALSE. Only about 5% to 10% of breast cancer cases are thought to be the result of gene defects (called mutations) inherited from a parent. Most women (70% to 80%) who get breast cancer do NOT have a family history of this disease. There is nothing a woman with average risk can do to reduce her risk of developing breast cancer. FALSE. Many breast cancer risk factors are things you cannot change, like your age, your family history, and how old you were when you started and stopped having menstrual periods. But there are other important breast cancer risk factors that you do have some control over, and which can help reduce your risk of developing breast cancer: your weight, your physical activity level, and how much alcohol you drink. Only women can get breast cancer. During this short period that I have been fighting my battle, I have seen the innate good of Kenyans who want to help others. I have also seen numerous opportunities where Kenyans need care but have no access due to lack of awareness or resources. With that in mind, 7 of my friends and I recently launched the Second Chances Foundation whose goal will be to raise awareness on cancer and other lifestyle diseases, advocate for medical screening and early detection, and provide hope and support to those affected and encourage them to live their lives as if they have received a second chance! Our message to you today is to get screened for cancer, diabetes, or any other lifestyle disease whether or not it is hereditary in your family. Don’t procrastinate, do it today, and do it annually on your birthday.